This indoor and outdoor cafe and restaurant is part of the Federation Square development in Federation Wharf, along the banks of the Yarra River, central Melbourne. Federation Square, a landmark cultural and entertainment complex is a popular spot to wine and dine in Melbourne central business district. 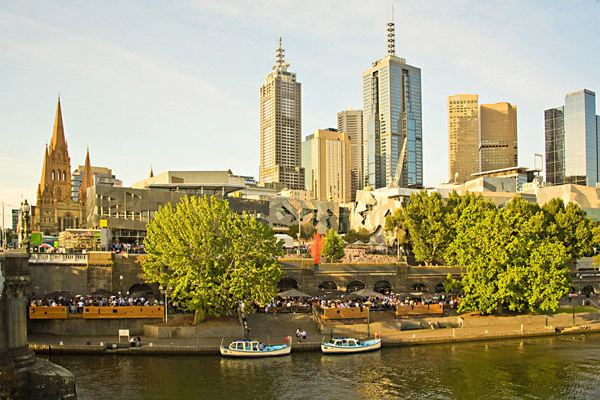 With art galleries, an outdoor amphitheater and available boat cruises on the Yarra River, it is a major tourist destination.